The X-T10's fast startup time and minimal shutter lag reduces the risk of losing a shot at just the right moment. The real-time viewfinder has a fast refresh rate so what you see is what you get when you shoot a photo. 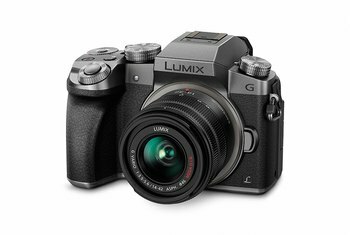 Outstanding build quality gives the camera a look and feel that makes it comfortable to hold and a pleasure to operate. The camera doesn't have a touch screen for choosing menu items. The unit doesn't have the weatherproofing of other Fuji models, which makes it less rugged for fieldwork. The dedicated record button for shooting video is difficult to press. Targeted at intermediate-level photographers and enthusiasts, the mirrorless X-T10 has an AP-C sensor with support for 16.3 megapixels. 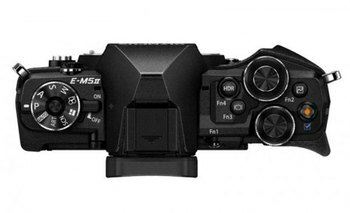 The totally electronic shutter offers speeds of 1/32,000-30 seconds, and the unit brackets a native ISO of 200-6400 and an extended ISO of 100-51,200. 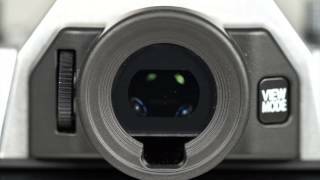 The camera powers up fast--0.5 seconds--and has a minimal shutter lag of 0.005 seconds. 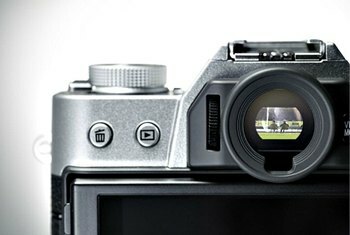 The unit has an electronic viewfinder with a resolution of 2.3 million dots and a tilting display with 920,000-dot support. 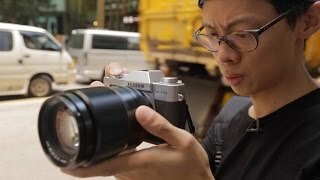 Although the X-T10 isn't weatherproof, its build quality is high caliber. It has a magnesium alloy shell like top-end DSLRs, and full 1080p HD is supported, as well as HDMI output. 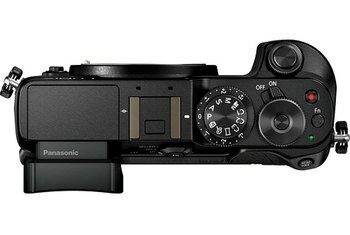 Fujifilm have once again hit the ball out of the park with the design of the new X-T10. The X-T10 looks good and feels well built with a large (squishy) rubber thumb grip at the rear, and a good sized grip at the front for your right hand. The grip can be extended further with an optional grip that is also available. The fact that the screen tilts up or down is useful for composing landscape shots from high or low angles, but it doesn't help with upright shots. 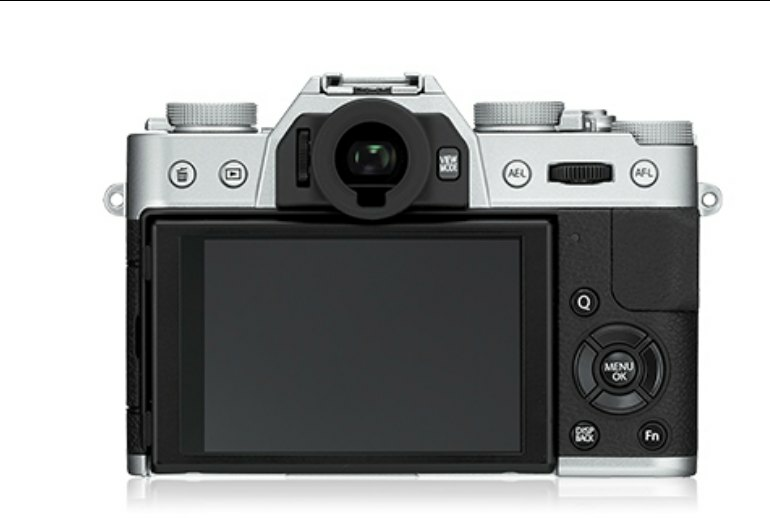 ...the FujiFilm X-T10 uses a magnesium alloy shell like the top-end models. This lends the camera a more expensive, tough feel. I’ve used it for shooting all kinds of gadgets, in both controlled situations and on the fly, and it’s turned out to be a really impressive camera that holds its own against the much more expensive X-T1..
..the dedicated record button on top is nearly impossible to press. 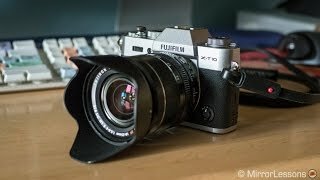 Fuji might not focus on video, but being able to start and stop recording shouldn't be this frustrating. The compact body, loaded with exposure controls, enables you to make your changes without getting into the camera's menu system, allowing you to adjust quickly to the ever changing shooting conditions. The X-T10 has built-in Wi-Fi and connects to iOS and Android devices. The Fujifilm remote app is outstandingly good. [T]he EVF on the X-T10, like the X-T1 after the v3.00 firmware update, includes the ability to disable film simulation effects and other filters to provide a natural live view scene that replicates what you'd see with the naked eye. Despite the fact that the size of both the front and rear grips have been reduced, it still sits well in the hand thanks to a textured coating that allows for a good grip. 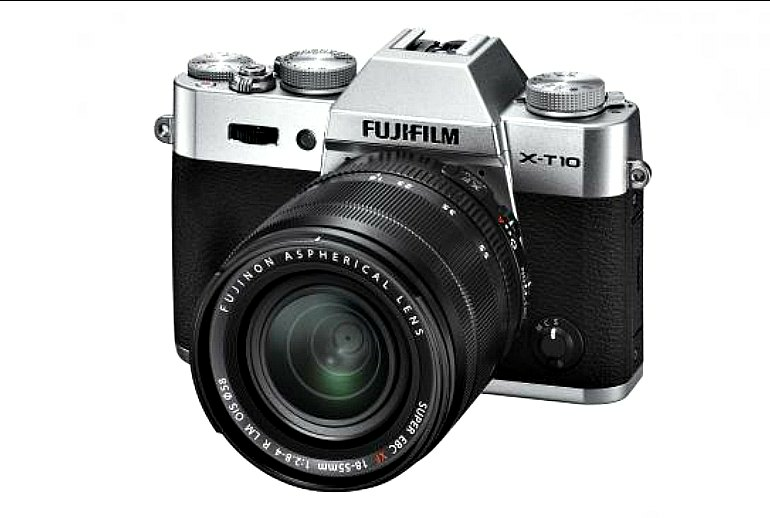 Fujifilm sells the X-T10 for $800 (body only), and for $1100 (with the 18–55mm lens). Equipped with an APS-C sensor and strong in-camera image processing, the X-T10 camera captures gorgeous images with accurate color reproduction.